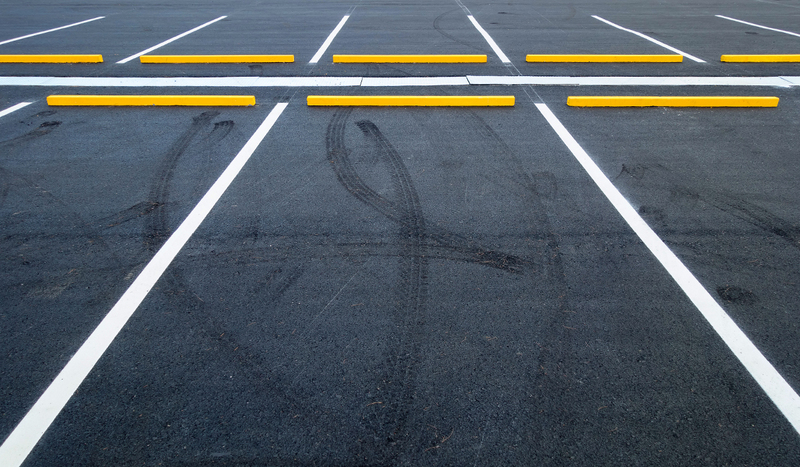 Property managers often wonder when should I restripe my parking lot? 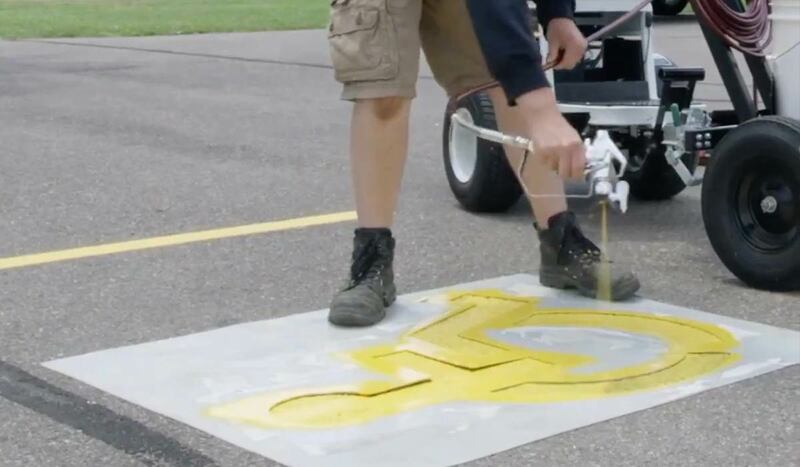 Here are four factors to consider before you put paint to pavement. Typically, it is going to be a good idea to restripe about every 18 to 24 months, at least. However, it will also depend on the location of your business, and a host of other factors. For example, if you live in a climate where it snows, you probably rely on snowplows to come along and remove the snow from your parking lot. While this is beneficial to ensure that your parking lot is up and usable for the customers, it also means that there is the potential for those plows to scrape away some of the lines in the parking lot. In those cases, it is generally going to be a good idea to restripe annually. After the last snow of the year has gone, set up an appointment to have your parking lot restriped or paint new parking lot lines yourself. 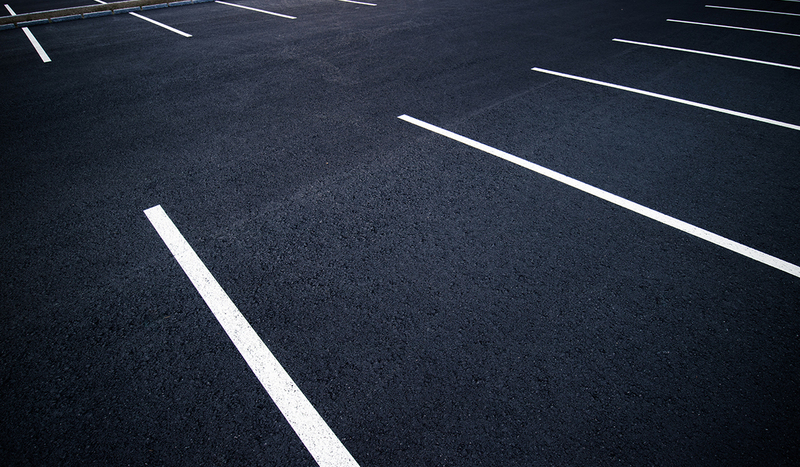 If you have had asphalt repairs and sealcoating on your parking lot, then you are certainly going to need to have restriping completed before you can open up the parking lot to your customers. The sealcoating is going to cover up the lines, so once it has dried, you will need to make sure that you have someone come out to add the stripes to the parking lot. In addition, you will want to be sure that you keep up with the requirements from the American Disability Act. This will indicate what you are going to need in terms of disabled parking spaces, and you need to be sure your parking lot is fully compliant. In some cases, this might mean having a striping company come out to your parking lot as soon as possible to make the updates to help bring the parking lot up to code. What Are the Benefits of Regular Restriping? For starters, you want to think about the curb appeal of the property. Having nice clean and easy to see lines in the parking lot is going to make it look better. We’ve all seen old parking lots that don’t have lines or whose lines have faded over the years. They look neglected. If the owner doesn’t care enough to take care of the parking lot striping, it typically means they do not care much about the buildings and stores that are in the parking lot, or the rest of the upkeep they should be taking care of. If you are planning to resell the property, not painting the strips and improving that curb appeal is going to hurt the resale value. It might seem like a small thing, but it is very important. 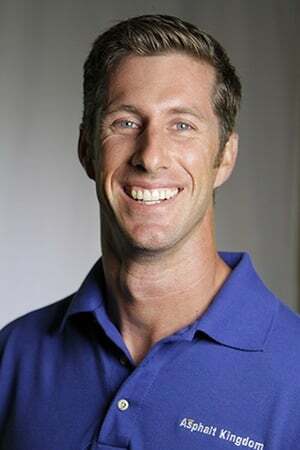 It will help to show that the business is well cared for, and that can help to make getting a sale easier. In addition, there is a safety factor that you have to think about when it comes to the parking lot. If the parking lot has not properly been striped, it means that people are not going to know where to park properly, and this can cause confusion and an element of danger in the parking lot. You need to have clear parking spots and directional lines in your parking lot for the safety of the vehicles and drivers, as well as pedestrians that are walking through the parking lot. And if you've ever been in a parking lot in a snowstorm, you know that not being able to see the parking lot lines means people put a lot of space between their cars and you get fewer of them in a lot. If you have a busy business, using every parking space affects your bottom line: make it clear to your customers where they can park. High traffic parking areas often add reflective glass beads in the stripes, which are going to be easier to see in the evening when headlights hit them. These can add an extra layer of safety, and they can be a nice solution for many types of parking lots, including airports and hospitals. 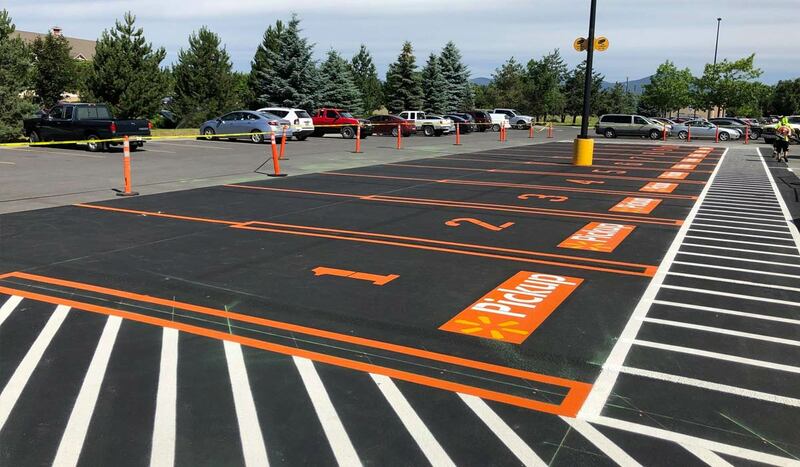 Now that you know why and when you should be restriping your parking lot, it is time to get in touch with a company that can take care of the restriping for you. Always make sure that you are dealing with professionals who have the right equipment and who understand ADA compliancy. Many times, the same company that you hire to take care of the asphalt repair and the sealcoating will be able to offer the restriping services you need. It could be a good idea to have one company that can take care of everything needed for your parking lot. If you'd rather do it yourself at your convenience, we have a variety of resources to help you, from small line striping machines for small parking areas, up to ride-on line stripers for huge lots. Check out our Line Striping Course to get started.